This post may contain affiliate links. If you click on a link and then make a purchase, I may get a small commission from that sale, at no extra cost to you. Whoa, this week has been insane!!! It was so much fun to see all of your juices. Thank you once again for playing along with me, and for helping me stay accountable to my juicing needs. 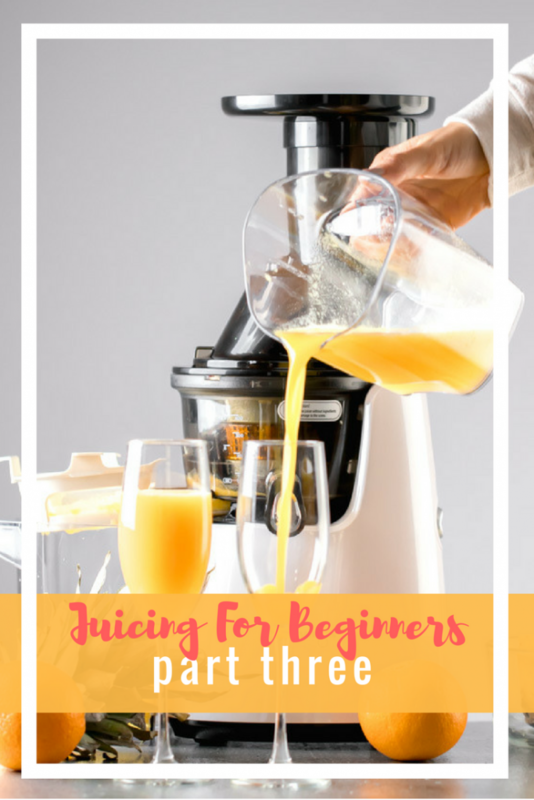 This post also concludes our 'Juicing For Beginners' Three Part Series. This is Part Three, but you can catch up and read Part ONE here and Part TWO here. In Part One of Juicing For Beginners, I briefly discussed what juicing is vs what it isn't, some general benefits, and why I love to juice. 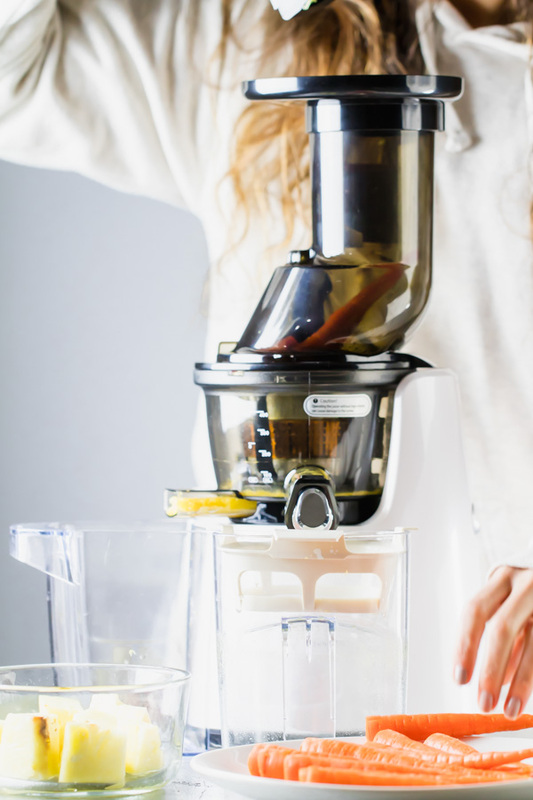 In Part Two, I discussed the differences between blending and juicing, and I spoke about the different types of juicers that are out in the market, as well as offered some reviews on two tried and tested juicers that I own. Part Three is going to be sweet and simple and straight to the point. Now that you're armed with a ton of helpful information and you know what juicing is, and why it's good for you, and what type of juicer to purchase... I'm going to give you FIVE hot tips (that have helped me personally) that will make juicing an EASIER task for you! 1. 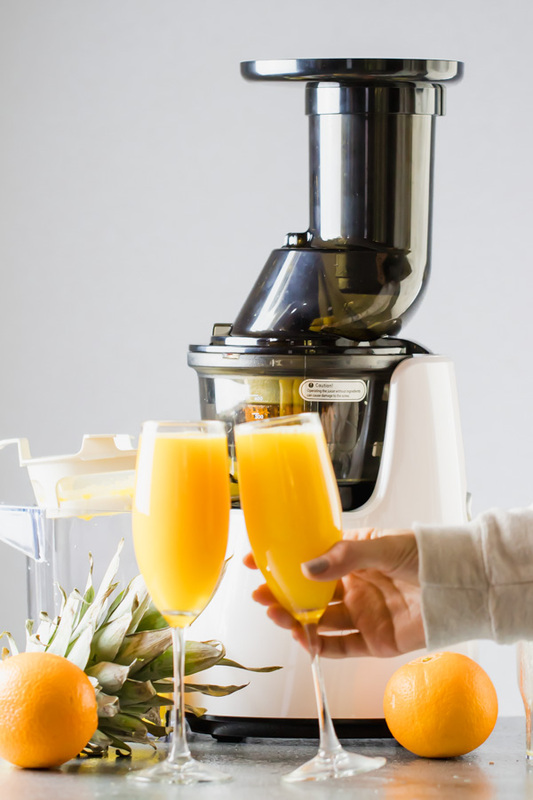 Keep your juicer in plain sight! Don't store in a box. Don't put it in your garage. Don't hide it away in a cabinet. Or else you'll never see that precious thing again. You wouldn't believe how many times I hear, "I need to bring my juicer back out" ... if you put it away, chances are you'll eventually forget you even have a juicer! Leave it outside where it's easy to reach and where you see it frequently because this will serve as a reminder. Remember, 'out of sight, out of mind'. This is only for those with a cold-press/masticating juicer, because unfortunately juices made in a centrifugal juicer do not have a long shelf life and should be consumed immediately. But if you have a slow juicer or cold-press juicer, the best tip I can offer is, instead of making one cup of juice... make a huge batch and store it in the freezer! It's so much easier to clean the juicer once and have a ton of juice vs cleaning that whole juicer for just 8oz of juice. Okay this may seem like a no-brainer, but you wouldn't believe how many unappetizing juices I drank at first, because I had this idea in my brain that if the juice tasted good, it wasn't healthy. I thought I had to chug down straight up arugula or kale or celery and call it a day. But this is not true, you can make some amazing, low calories, low sugar juices (if that's what you're looking for), that taste pretty darnnnn good. For example - this Arugula and Kale Green Juice is one of my favorites now and I look forward to drinking it. Find a juice that you like, and you will be more likely to make it. You'd be surprised to see how many scraps of veggies you waste throughout the week that could go towards juicing. The stalks of kale, the ends of tomatoes, tiny pieces of celery that never got used up, that kale that is beginning to wilt in the fridge and only has about a day left in it. Juice it all! You are more likely to be motivated to juice if you have a reason to do it such as saving money cause you're juicing every last bit of your vegetables and fruits and not throwing them out once they already rot in the fridge. I learned this lesson the hard way after throwing a ton of veggies away which I could have been juicing all along. Hold yourself accountable – tell your friends, join a challenge, set a goal to juice x amount of times in a week. Juicing three times a week is better than no times a week. So many times we don't do stuff because, we think 'well if I can't do it everyday I might as well not do it at all', but that's where we're wrong. Do it anyway. 5 is better than 3 but 3 is better than none. We just had a Five Day Juicing Challenge on Instagram and everyone kept telling me how this challenge helped them juice more this week! Some only juiced three times or once, but that's still better than ZERO! Okay, there you have it, my TOP five hot tips that'll make juicing an easier task for you!! These sure have helped me in the past three years... I'm still not perfect, and sometimes I do go long bouts without juicing, but I always come back to this list to remind me of some things I can do and change so that I can start juicing more efficiently! Hi I'm Jen - Nice to meet ya! I'm a yoga teacher and vegan foodie that loves to create tasty and healthy homemade meals. I believe in the healing power of plants and want to spread that message through my recipes. Thanks for stopping by.